Meet & Melt has opened their brand new second outlet at *SCAPE! For the uninitiated, Meet & Melt is the most amazing dessert joint that we have come across. Their Cookies & Cream Shibuya Toast sits at the top of our all-time dessert rankings. 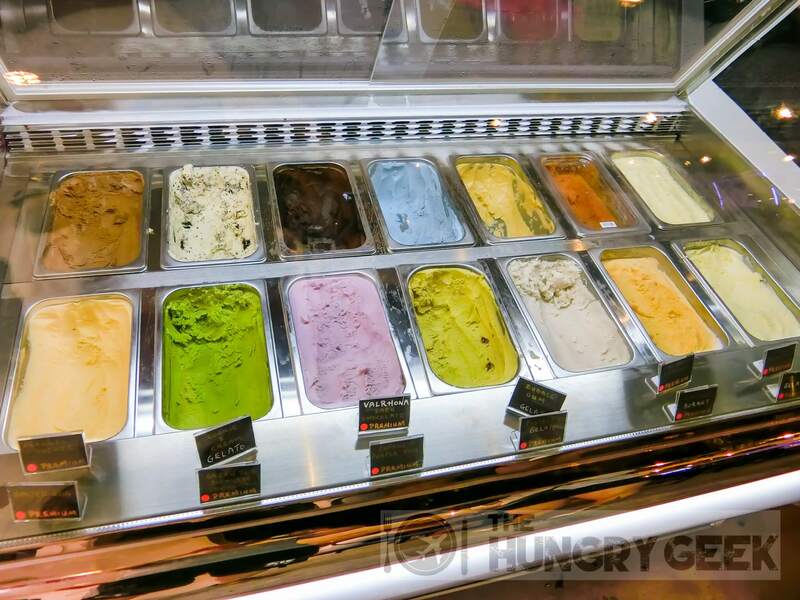 It is just about a year old, and their first outlet was in a super ulu location in Tampines far away from the MRT. However, our first introduction of Meet & Melt became a massive viral hit with tens of thousands of visitors in the span of a week, nearly crashing our blog. Besides the ulu-ness of their Tampines location, another issue that they had was the limited seating capacity and lack of air-conditioning. They have solved this by opening a second outlet at *SCAPE! This new outlet is fully air-conditioned inside *SCAPE with a massive number of seats. We must say that the folks at Meet & Melt never rest on their laurels. 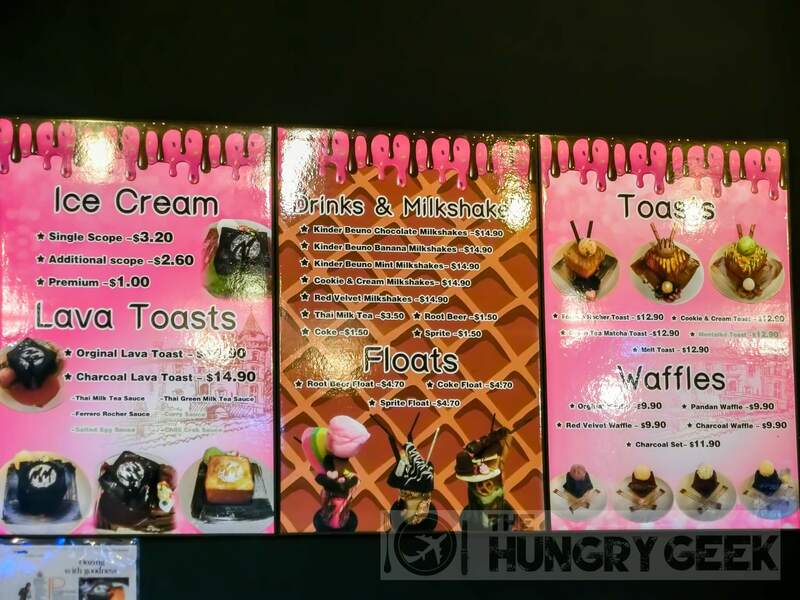 They spend many hours researching and innovating dessert flavours and back in June 2016, they released their incredibly delicious Molten Lava Toasts in Thai Milk Tea and Green Tea flavours. Now to coincide with their *SCAPE launch, they have released CURRY LAVA TOASTS and Mentaiko Shibuya Toasts! These are incredible new flavours, and the Curry Lava Toast is another one of the most delicious desserts that we have ever tried. The Chan family opened Meet & Melt back in August 2015 at an ulu Tampines location. The father, Keef Chan, has an incredible passion for making deliciously beautiful desserts and he doesn’t mess around. He only uses extremely expensive and delicious ingredients, ensuring that the taste is never compromised. You can find Ferrero Rocher, Hersehy’s and Kinder Bueno chocolates included in some of their creations! The most amazing part about successful F&B ventures is the amount of time that the owners spend on research and tweaking the recipes. They will visit dessert outlets all over Singapore and even overseas, and they will repeatedly make a new potential dessert item over and over again until the taste is just perfect. The difference with Meet & Melt is their willingness to spend on the most delicious ingredients, regardless of the expense. One of Keef’s daughters would complain to me about how her Dad would buy a $9 bottle of peanut butter for their desserts, when there are $3 options around. This is how they make their amazingly delicious desserts, and we have to give them big kudos for constantly improving and coming up with really amazing creations. This has got to be the most creative and incredible dessert creation of 2016. Everyone loves curry. Curry with bread is pretty good. Meet & Melt’s lava toast is really delicious on its own. When you combine curry with lava toast, what you get is just sheer deliciousness. Just look the delicious curry oozing out from the toast. Meet & Melt has successfully tuned the taste of the curry to match perfectly with their toasts. You can just come here and have their Curry Lava Toast for breakfast, and it would be a complete and full meal on its own! Match it with their Coconut Ice Cream, and we have a clear winner here. We must say this dessert is really groundbreaking, and we wonder why nobody has done it sooner. We give their Curry Lava Toast an incredible 4.5/5 rating, and for a dessert this is second only to Meet & Melt’s own Cookies & Cream Shibuya Toast. We think if they can come up with an ice cream flavour that perfectly matches the curry, this dessert has the potential to be the most incredible food item that we have ever eaten. You can get their lava toasts at S$14.90. This is really worth every penny. To create their Mentaiko toasts, the Chan family fanned out across Singapore to try all sorts of mentaiko flavoured creations, from desserts all the way to the conventional Japanese food. After weeks of research and trial and error, they created their homemade mentaiko sauce after taking inspiration from some of the best Japanese restaurants in Singapore. After all their efforts, the outstanding fragrance of the mentaiko sauce is immediately apparent. You can smell it as it comes! This Mentaiko Shibuya Toast goes extremely well with their Sea Salt Gula Melaka ice cream, and we rate this 4.4/5. This is priced at S$12.90. Some of Meet & Melt’s Over The Top Milkshakes! This is probably the richest Dark Chocolate Ice Cream that we have ever eaten! Meet & Melt now has both the most delicious dessert item in Singapore with their Cookies & Cream Shibuya Toast, as well as the second most delicious dessert item with their Curry Lava Toast. Now located at the air-conditioned *SCAPE with plenty of seats, this has become a great dessert place for dates and chilling out. We hope that the folks at Meet & Melt never stop innovating and they must keep on creating the most delicious desserts that we have seen! Head down to Meet & Melt at *SCAPE before the queues start exploding. We suggest calling in advance to check on the availability of their toasts. ← ShopBack: FoodPanda voucher, cashback and online shopping deals! Meet & Melt – The Most Delicious Dessert in Singapore In "Singapore Cafes"
10 Must-Try Food Places In Singapore 2016 In "Singapore Food"